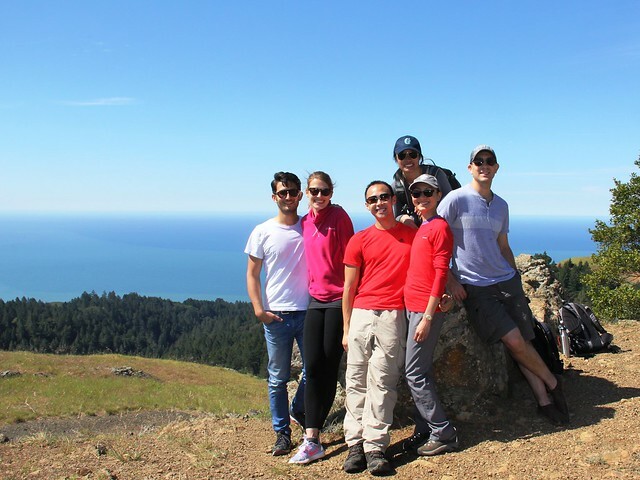 Hiking Around Mount Tamalpais and Lunch at Fish. 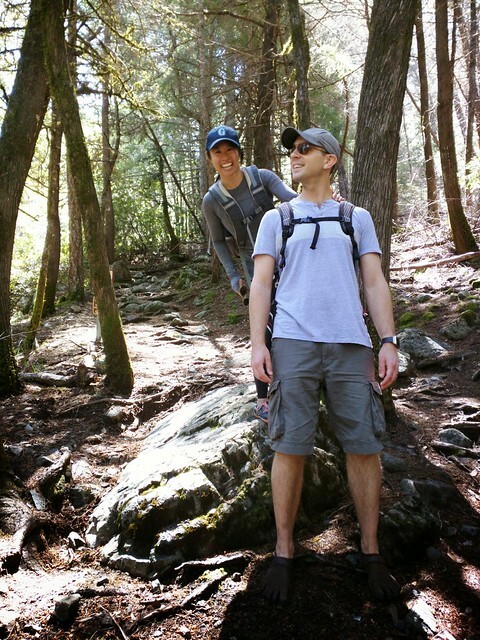 Last Sunday we went hiking with Daphne, Chris, Lisa and Cagri. 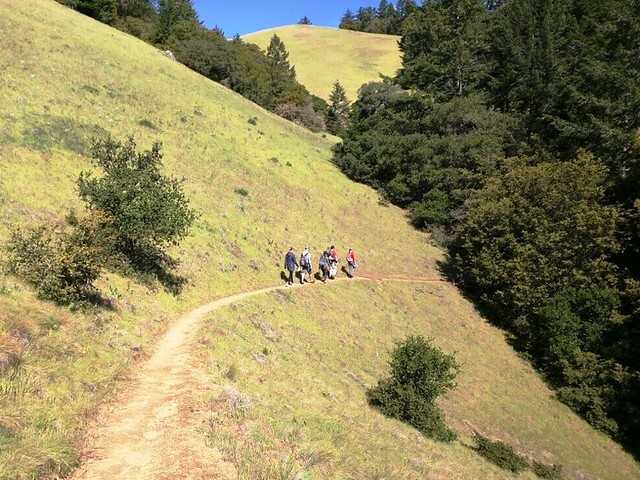 It was a beautiful sunny day – perfect hiking weather, which I’m learning seems to be almost every day here. The drive up was pretty packed, but I think there were enough different trails that no individual trail was particularly busy. This is us at the start of the hike. We intended to do the Rock Creek loop but there were a lot of crossroads and the trail wasn’t well-signed (which was weird because it wasn’t a remote area – at some points we were walking next to cars on the road). I think we managed to stay on the trail for most of it, but we made a wrong turn somewhere in there because we finished much faster than we should have. Never mind, there were so many hikes in the same area that we just started on another one! 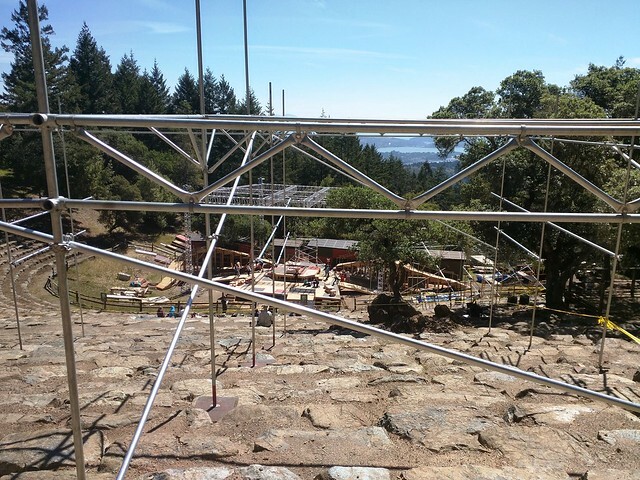 We had a peek at the Mountain Theater where they were rehearsing what looked like Peter Pan. The construction was super elaborate and you could see the water from the top seats. Then we kept randomly walking. It was a pretty easy hike through meadows and then forest. 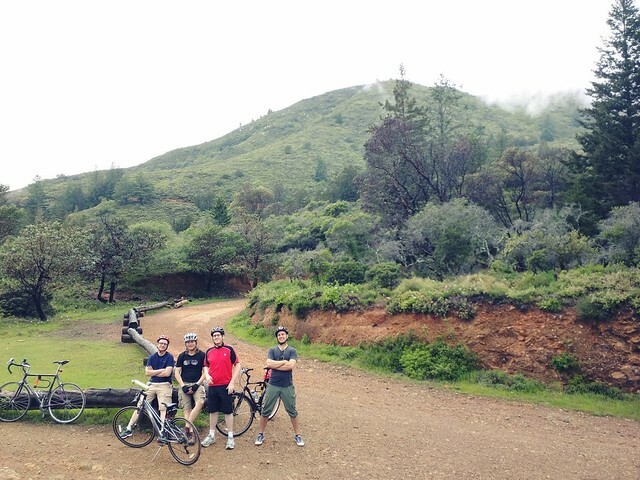 I preferred the forest parts because we weren’t in the sun as much. 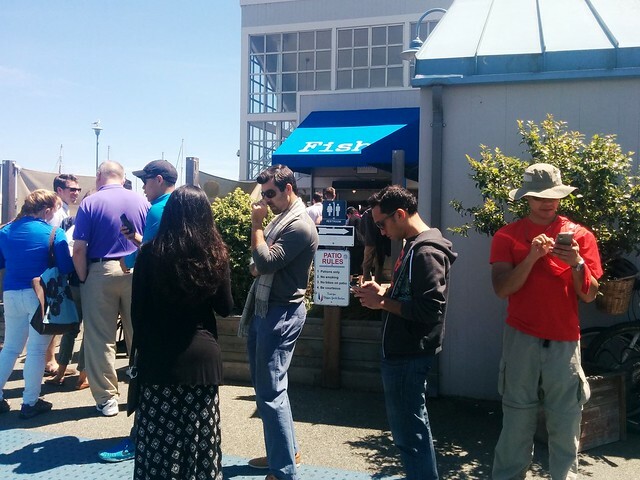 After the hike we drove to Sausalito for lunch at Fish., a super popular cash-only restaurant. We got there around 1:30pm and there was a massive line. It took a long time to get to the front, and the line stayed out the patio gate until around 3pm. At least you could buy drinks while you waited, so everyone got beers and I had a nice refreshing water. 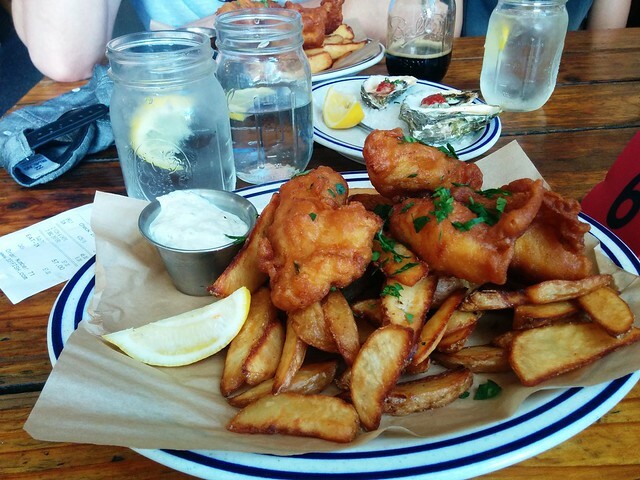 James and I ordered fish and chips and some BBQ oysters. At just under $60 for the two of us it was pretty expensive, especially for a cash-only place! The food was great though, and the portions were generous. I couldn’t finish mine and had to give James one of my fish and a big handful of chips. Stuffed, we went home where I napped until it was time for us to go to Eliot and Michelle’s place to watch Game of Thrones and eat brownies.